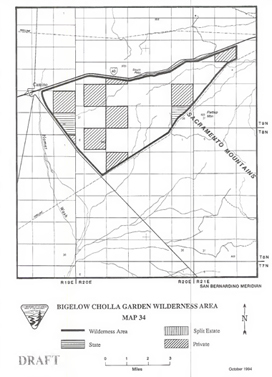 NATURAL RESOURCES: This wilderness area lies within the northern portion of the dark, volcanic Sacramento Mountains. 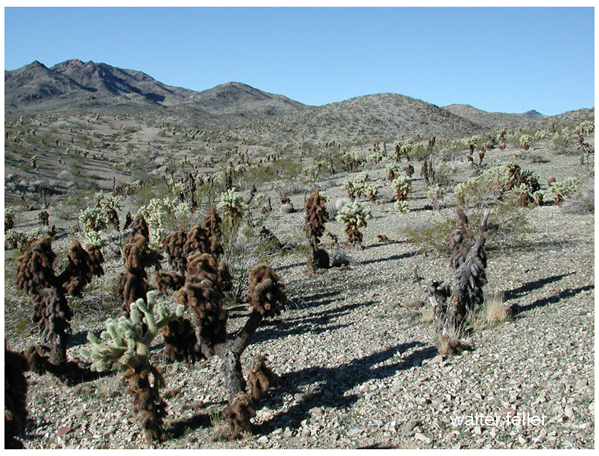 The densest concentration of Bigelow cholla cactus in the California Desert is found within this wilderness. ACCESS: Interstate 40 forms the northern boundary of the wilderness. Exit U.S. Highway 95 from 1-40 and follow the dirt road south for about 200 feet. Turn right 180 degrees to access the Four Corners's Pipeline and travel west. The southern boundary, delineated by this road, begins in 3 miles. There are no established trailheads, and high clearance vehicles are recommended.